When you’re a born and raised Military Brat, Veterans Day and Memorial Day tend to take on a little more significance to you. 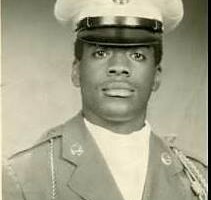 Today, I want to take a moment to honor my favorite Veteran, my Dad. That’s my Dad, 3rd from the Left. He served in the U.S. Air Force for almost 23 years, first as a Security Policeman, and then he qualified to go through training to become one of the elite members of the Office of Special Investigations. AFOSI was created within a year after the formation of the U.S. Air Force, at the suggestion of Congress to consolidate investigative activities in the Air Force. Secretary of the Air Force W. Stuart Symington created AFOSI and patterned it after the Federal Bureau of Investigation (FBI). 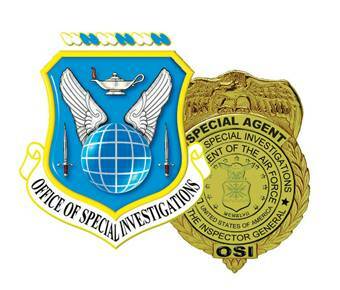 As an OSI Special Agent, he did everything from Counter-Intelligence, Protective Service of Senior Military Officers and Elected Officials, to Criminal/Homicide Investigations, Undercover Narcotics, and Anti-Terrorism Operations. My Father was one of the very first Black men to qualify and be selected to be OSI Agents. I was much older before I gained any understanding of just some of the things my Father did, and learned of the many times he placed his life on the line, in defense of this nation and our way of life. I might sound a little biased, but his service record says that he was quite literally, “One of the Best”. Here’s a quick story. 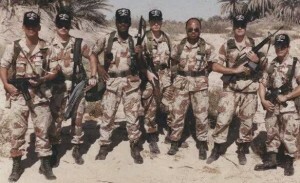 My Father happened to be not only the first OSI Special Agent, but one of the very first group of military personnel “in theater” at the beginning of the first Gulf War conflict. My family had just returned “home” to Germany from visiting relatives in Detroit, and putting my sister back in school in Washington DC, on Wednesday, August 1, 1990. My dad went back to work on Thursday, August 2, 1990. I said, “What’s up Dad, where are you going?” He said, “I have to go on TDY (Temporary Duty).” This was not a big deal to me, because as an OSI Agent (and one of the best there was), my Father was frequently on TDY. I said, “Okay, how long will you be gone?” He said, “Probably about 30 days.” That was unusual, because while he was often gone for 3-4 days, and maybe even a week at a time, he was never gone for 30 straight days. At that time, I wasn’t aware of what had just happened in Kuwait. I found out from CNN that after Iraqi forces invaded, President George H.W. Bush immediately proclaimed that the invasion “would not stand” and vowed to help Saudi Arabia and Kuwait in their efforts to force the Iraqis from Kuwaiti land. Later I found out that when AFOSI HQ said that they needed to send an Agent from Europe to Saudi Arabia, none of the other Agents were interested. To my understanding, my Father was apparently the only volunteer. The morning of Saturday, August 4, 1990, I drove to Rhein Main Air Base to see him fly off. By this time, I was aware of what was happening in the Middle East, and that my Father had volunteered to go into harms way. I gave him a big hug, wished him well, and hoped that I would see him again. On Tuesday, August 7, 1990, President Bush ordered the organization of Operation Desert Shield in response to Iraq’s invasion of Kuwait. The order prepared American troops to become part of an international coalition that would later engage in a war against Iraq that would be launched as Operation Desert Storm in January 1991. To support Operation Desert Shield, Bush authorized a dramatic increase in U.S. troops and resources in the Persian Gulf. A week or so later, I started my Senior Year of High School. Day-in, and day-out, the media was talking about how this whole Desert Shield thing could very well spark WWIII. They were full of gloom and doom reports about how bad the casualties could be, because Saddam’s army was supposedly battle-hardened and blooded after a decade of fighting Iran. There were serious questions being raised about the ability of the U.S Military to effectively fight against what was one of the largest foreign armies in the world. Suffice to say, we were worried about my Father and all of our troops in general. After he was gone about 30 days, he called home, and I was relieved to hear from him. I said, “Hey Dad, are you coming home soon?” He calmly said, “No son, I will probably be gone about another 30 days.” For the next 30 days, there was nothing but more gloom and doom from the media, combined with more and more troops being deployed to the Middle East. After 60 days had done by, he called home, and I said, “Hey Dad, are you coming home soon?” Once again, he calmly said, “No son, I will probably be gone about another 30 days.” Over the next 30 days, there was more gloom and doom from the media, combined with more and more troops being deployed to the Middle East. After 90 days had gone by, he called home, and I said, “Hey Dad, are you coming home soon?” This time, he said, “Son, I’ll get home when I get home.” That was the beginning of November, 1990. On November 29, 1990, the United Nations Security Council authorized the use of “all means necessary” to remove Hussein’s forces from Kuwait, giving Iraq the deadline of midnight on January 16, 1991, to leave or risk forcible removal. After negotiations between U.S. Secretary of State James Baker and Iraq’s foreign minister, Tariq Aziz, failed, Congress authorized President Bush to use American troops in the coming conflict. Suffice to say that things were very tense over Christmas and New Years. The U.S. Military personnel and their dependents who were living in Germany and throughout Europe lived on constant alert for the threat of terrorist actions. I remember staying near the TV on January 16, 1991, to see what Saddam and his forces were going to do. When he did not budge after the deadline had passed, everyone was wondering if President George H.W. Bush, who was often ridiculously maligned as a “wimp” by the Lame Stream Media, would have the guts to follow through on his threat to us force to remove Saddam from Kuwait. Just as a side note, it was utterly ridiculous to attempt to portray George. H.W. 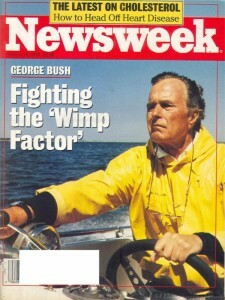 Bush as a “wimp”, considering that he rushed off at the age of 18 to join the Navy and fight in WWII, becoming the youngest ever Naval Aviator at the age of 19. He would go on to be honorably discharged from the Navy at wars end with a distinguished record of service. I will never forget January 17, 1991, because that was the night that the news media went dark for us in Germany. We all got a little scared, because no news is usually bad news. But later that morning, when the news came back on, we saw this sort of video being played on CNN. 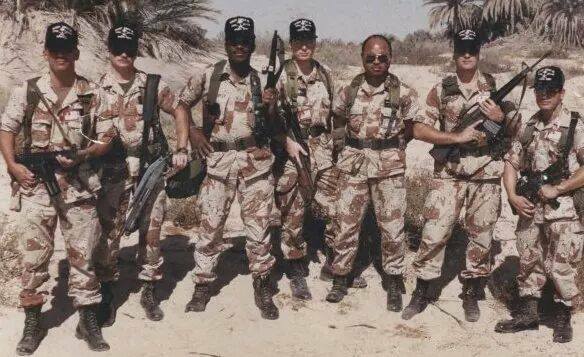 And then, on February 24th, U.S. Army General Norman “Stormin’ Norman” Schwarzkopf sent coalition ground forces into Kuwait and across the Iraq border. Regular Iraqi troops surrendered in droves, leaving only Hussein’s hard-line Republican Guard to defend the capital, which they were unsuccessful in doing. After pushing Hussein’s forces out of Kuwait, Schwarzkopf called a ceasefire on February 28th; ending the “100 Hour War”. General Schwarzkopf accepted the surrender of Iraqi generals on March 3rd. However, my father didn’t return home to us in Germany until nearly the end of April. My Father missed nearly my entire Senior Year of High School, and I must admit, at times, in my youthful immaturity, I was resentful about that. As a grown man, I have to tell you, there is no man alive who I respect more than my Father. Knowing now that he volunteered to go into harms way, while others shied away, I respect him that much more. I now know that he endured multiple SCUD attacks, and was in Dhahran, Saudi Arabia, when a SCUD missile hit a barracks containing U.S. troops, killing 27 and wounding 98 of them, and that the blast picked him up and slammed him against his vehicle from over 100 yards away. I now know that my Father and another Agent had a U.S. soldier die right in front of them, as they tried to pull that soldier from the wreckage, and the soldier’s arm came right off. These are the kinds of stories and experiences that my Father, and many other U.S. Military service members, particularly combat Veterans, carry around for life. These are the kinds of things they experience that left scars on their souls, and cause them to suffer from things like Post-traumatic stress disorder (PTSD). These experiences, particularly for Veterans of Desert Shield/Desert Storm, have shown to have lead to things like Gulf War Syndrome, to which my Father eventually lost a kidney. But you know what, despite experiencing all of the horrors of war, and the mental and physical illnesses they brought home as a result of their service, and despite the ridiculous bureaucratic red-tape that the Veterans Administration puts Veterans through in order to redeem the benefits they were promised and earned, here is what I respect the most about men like my Father. Whenever the National Anthem is played, my Father still stands as ram-rod straight as he can, takes off his hat, places it and his hand over his heart, and beams with pride. And truth be told, he also gets a little misty-eyed. You see, even though he is walking around with only one kidney, and dealing with all of the other symptoms of PTSD and Gulf War Syndrome, if you ask him if he would do it all over again…he wouldn’t hesitate to volunteer to serve his country again. Folks, that kind of attitude is what makes Americans exceptional. Men and women like my Father understand and embody the words of President Ronald Reagan, when he said, “Freedom is never more than one generation away from extinction. We didn’t pass it to our children in the bloodstream. It must be fought for, protected, and handed on for them to do the same, or one day we will spend our sunset years telling our children and our children’s children what it was once like in the United States where men were free.” So please, the next time you see a Veteran, please remember to thank them for their service. You never know what that person may have sacrificed so that you can have whatever freedoms you are enjoying today. PreviousFairness and Millennials: They don’t know that they don’t know. 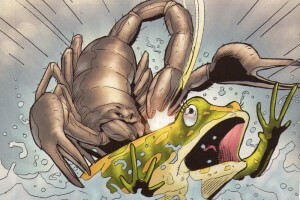 NextThe Frog, the Scorpion, and the lessons of Paris.